If you’re new to soaping, the process can seem a bit overwhelming. 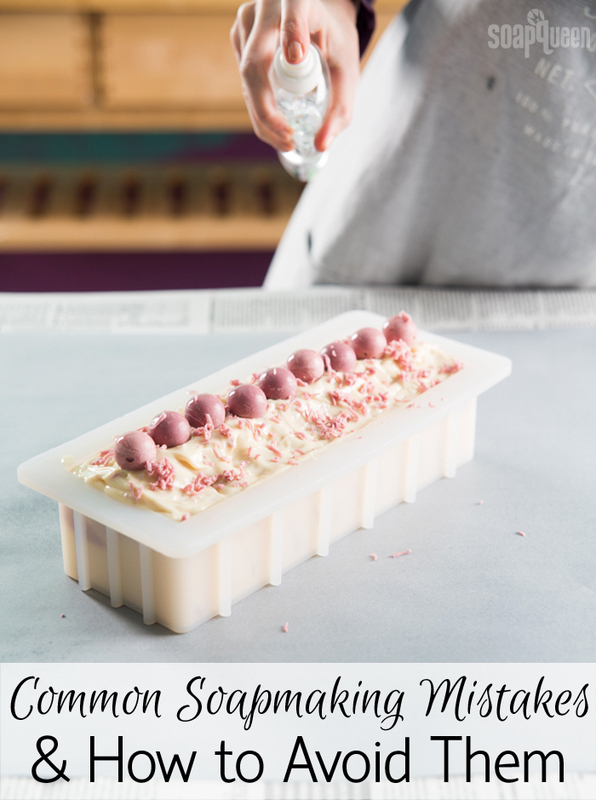 You can learn how to make soap and, with all the resources out there for free, never leave the comfort of your own home to do so =) There are multiple factors to take into account like temperature, equipment, what mold to choose, etc. However, cold process soaping is easier than you think! Once you get started you’ll never look back and this guide is here to help you short-cut mistakes I made when I was just starting out. Preparation is key when it comes to soaping. First and foremost, it’s important to know how to work with lye.Sodium hydroxide is safe to use as long as you handle it properly. Learn how to work with lye in this Soap Queen TV video. It’s also important to research what equipment you’re going to use, what recipe you’ll be making, what colors and fragrance you’ll use, etc. The Soap Queen blog (this blog!) is full of resources that cover all those topics. The Beginning Soaper Resource Roundup has everything you’ll need to get started. The Back to Basics series is helpful as well. It has information like how temperature affects soap and how to choose a mold. The series also features simple beginner recipes. Check out the Back to Basics roundup here. The Back to Basics Series features beginner-friendly recipes. Once the lye is poured into the oils, things start moving quickly. 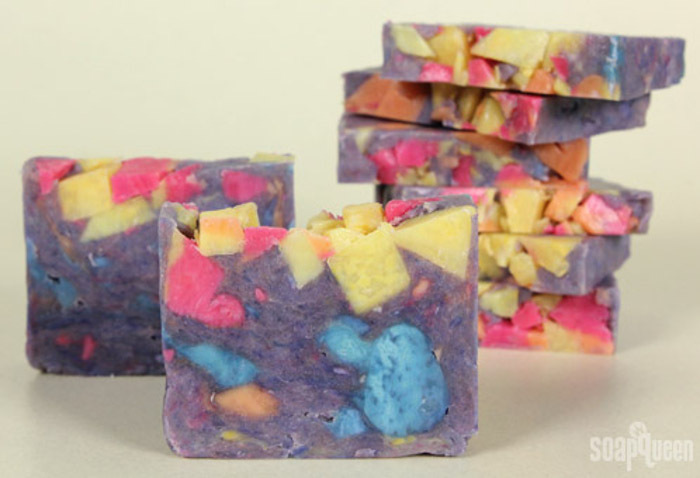 There isn’t a lot of time to try and mix colorants or measure out fragrances once the soap hits trace. Having everything ready to go and easy to access will help everything go smoothly. It also helps you remember to add each ingredient. 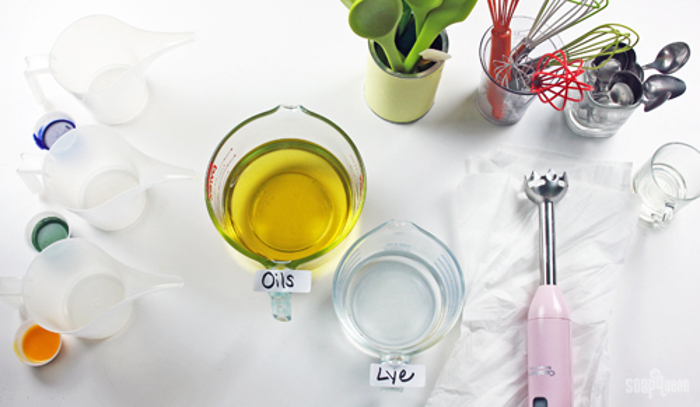 Before getting started, arrange all the tools you’ll need – whisks, bowls, spoons – on your soaping area. Then, make sure to disperse powdered colorants and measure your fragrance or essential oil in a glass container. Click through the Soapy Session Preparation and Setup Guide for more tips. Making sure your soaping space is prepared is important. Each ingredient added to the recipe will affect the final bar of soap. For instance, adding a high percentage of olive oil makes softer bars than a recipe with a high percentage of hard oils, like coconut. Learn more about oil percentages in the Formulating Cold Process Recipes post. 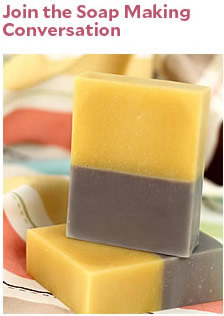 A lot of olive oil can also affect the color of the soap. 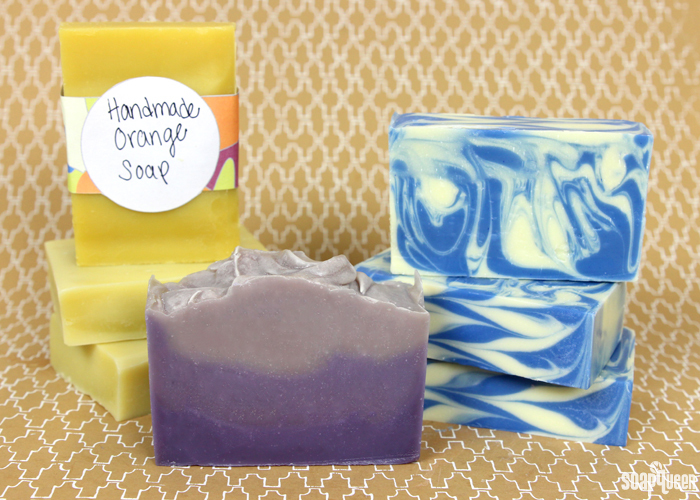 If the soap has a yellowish tint from the oil, it can morph the colors in your batch. For instance, a blue colorant will turn green when mixed with the yellow base. 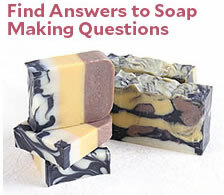 The How to Get Vibrant Colors in Soap has more information on that. Fragrance oils also affect the soap. Certain fragrances can accelerate trace or cause the soap to separate or rice. That’s why it’s important to test new fragrances, colorants or ingredients in your recipe before making a larger batch. You can see how the item performs and adjust if necessary. The 4″ Silicone Loaf Mold holds 20 ounces of soap and is perfect for small test batches. It’s also important to get your ingredients from a reputable source. We test all of our ingredients multiple times in cold process soap to ensure they perform well. 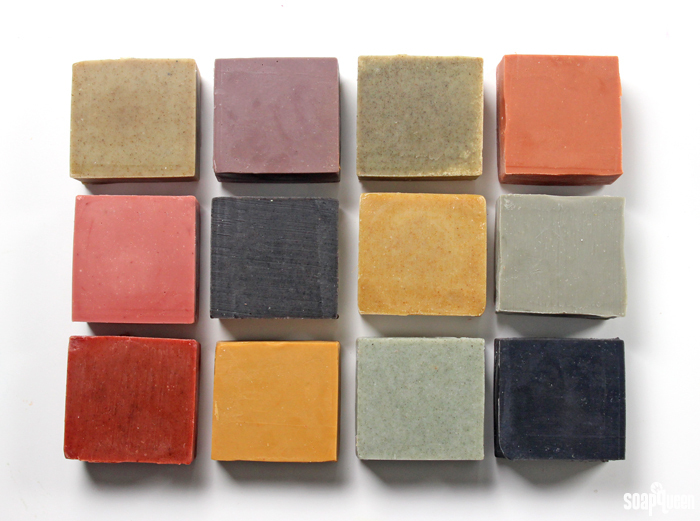 These natural colorants were added in small test batches to see how they perform. Even with the best research and preparation, mistakes can happen. I have had my fair share of mishaps! It can be frustrating to have a batch that didn’t turn out exactly like you planned. Don’t get discouraged. Each mistake is an opportunity to learn and improve on your next batch. It may sound cliche, but practice makes perfect. The best part about soaping is there are so many ways to save your batch. Is your soap separating? Use the Hot Process Hero Method to emulsify it. Forgot to add fragrance? You can rebatch the recipe and add the fragrance or essential oil. If the design didn’t turn out like you planned, the soap will still feel amazing on your skin. Keep trying until you get it just right. The Black Cherry Soap Tutorial shows you how to save separated soap.